Want your child to eat more variety, have a healthier diet and a great relationship with food? You need a deeper understanding of your child’s eating challenges and a solid plan. Have confidence that your child is getting the nutrition he needs and is building a healthy relationship with food. Enjoy pleasant family meals, prepare the food YOU like and stop feeling like you are stuck in a dinner rut. Create a growing list of varied, nutritious, easy and satisfying meals that the whole family enjoys. Build a schedule that works for YOUR family, stop the snacking obsession and help your child self-regulate. Implement easy dietary changes so your child gets the nutrition he needs. Know what to do and say when your child refuses to come to the table or demands pasta for dinner…every night. Get help for your child’s specific challenges like sensory issues or mealtime anxiety. It’s time to say goodbye to the confusion, guilt and mealtime struggles! 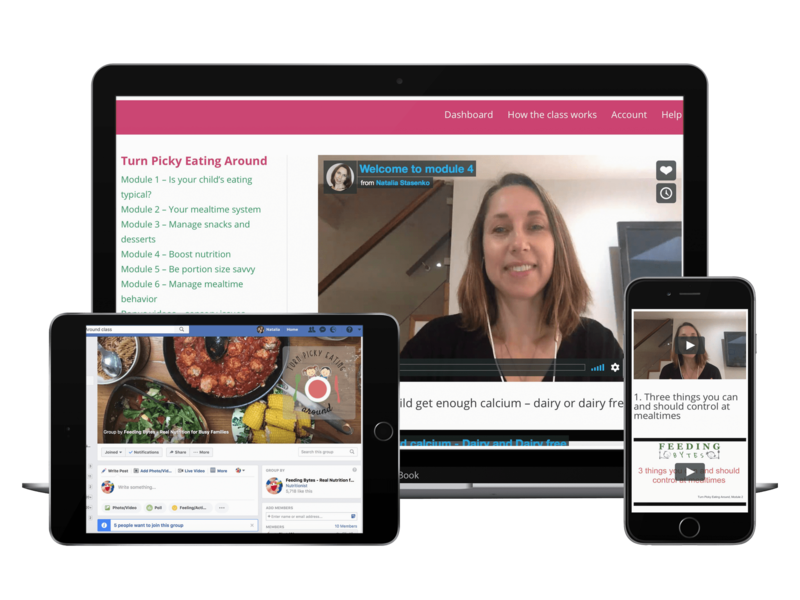 Turn Picky Eating Around is a dietitian-led online coaching program that helps parents confidently create a solid system to help their children enjoy more variety while building a healthy relationship with food. We use a no-pressure, trust-based, positive approach to feeding and mealtimes. So you can enjoy your family meals, stop worrying about nutrition and know that your child is growing into a positive eater. It will NOT magically transform a selective child into an adventurous eater. 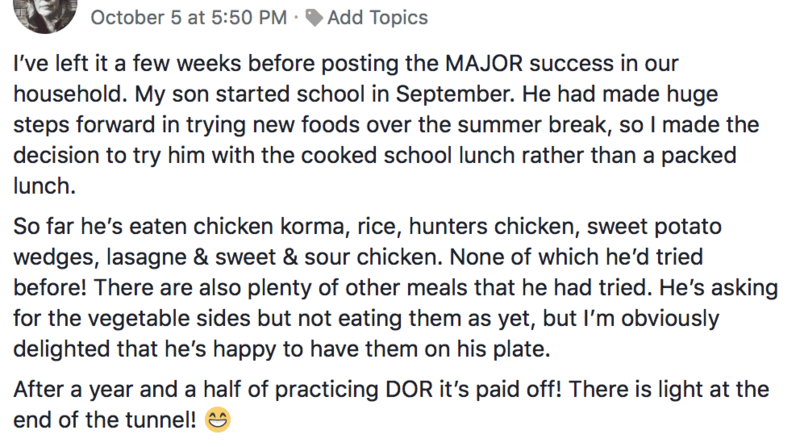 BUT you will know exactly why and if your child’s eating is a problem and have realistic expectations when it comes to his eating potential. It will NOT help your child sit through a 7-course meal in a restaurant. BUT your meals will become stress-free, guaranteed. It will NOT make you a perfect parent. No one is. BUT you will be mindful of the mistakes you may have made in the past and know how to do better. It will NOT get your child to eat a perfectly balanced meal 3 times a day. Because it is not the norm, even if Pinterest tells you otherwise. BUT you will understand what is balanced eating for YOUR child and how to support them in the kindest way. Eight modules each comprised of a few short videos on very specific topics that you can watch on any device at any time instead of wasting your time flipping through pages and pages and pages (yawn). Two pediatric dietitians with years of experience and a proven success record available daily for the duration of the class. We will be by your side at each step and support you in every way. Share them with your family members, nannies and other caregivers. Make sure to stick some on your fridge as a handy reminder to help everyone stay on track. Is Your Child’s Eating Typical? What are the red flags that may signal a deeper feeding problem? Do you need to worry about protein? Is your child’s relationship with food healthy? What is the main problem with diets? Detox from diets and become an intuitive eater. More Recipes and Meal Ideas! In case we have not met before…. 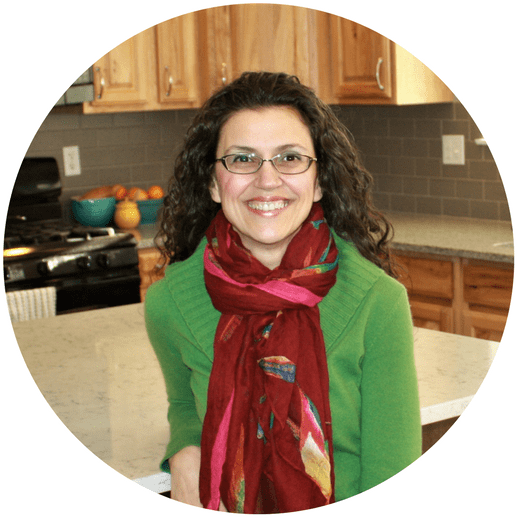 Natalia is the author and owner of Feeding Bytes, an online platform designed to help parents with all things feeding. Natalia’s main specialties are starting solids and feeding problems in kids. She shared her nutritional expertise in numerous media interviews, articles and two recipe books on starting solids she co-wrote recently. Natalia received her nutritional degree and dietitian credentials at Columbia University, New York and has helped hundreds of parents via private consultations and group coaching. A busy mom of three girls, Natalia is often puzzled by other areas of parenting, but 100% confident about her feeding strategy and you can be too! Adina has been a dietitian for 15 years. Initially, she had no interest in pediatric nutrition and assumed feeding kids would be easy. Then she had her first child and her paradigm change. With an understanding of the challenges of feeding children, she loves to help other parents navigate this tricky area. 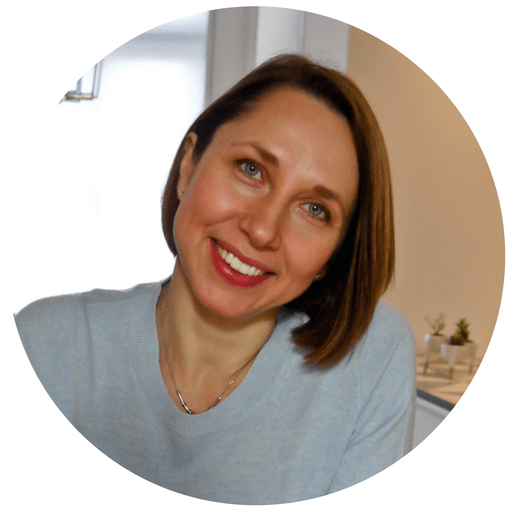 5 years ago she joined forces with Natalia when they noticed how similar their work was and started teaching classes online. Stress free meals, no need to short order cook or prepare three different meals each time you eat as a family. Your child choosing to eat nutritious food. You feel relaxed and confident that you are doing a great feeding job. I really am so very impressed with this course. ….the videos are perfect. Short but information-dense. The fact we can then come to you in the Facebook group is the icing on the cake. I have done a lot of parenting courses (not related to nutrition) and this is the first one where I have felt that the style and structure have enabled me to make immediate changes without having to do any further reflection or research. This online class is amazing and I am so happy I took the time to take it. The videos and the information were clearly presented and very well organized. Before the class I was feeling frustrated and guilty for not being able to help my daughter. I feel so much better now knowing that I am doing my part. I don’t have that feeling of a heavy burden on my shoulders anymore. In the past couple of weeks, we have seen changes that we didn’t see before. I know this is a long road and it will take a lot of work but with the understanding that this problem is not unique for my daughter and the support and understanding of what we need to do to get her past this stage. What you may be thinking….. I have made so many feeding mistakes; nothing can help my child now so I will just keep serving the same three things to her. Adina and Natalia have seen kids on a whole spectrum of feeding difficulties in their practices. It is clear that the correct strategies and support can help every child eat better, regardless of their unique challenges. 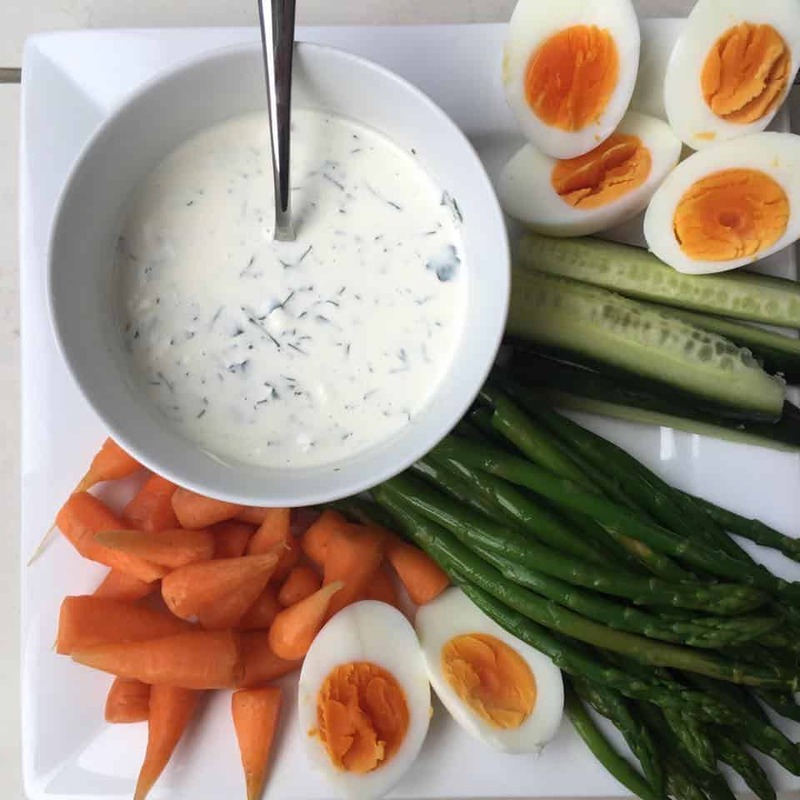 When feeding problems are a long-standing issue, it may take longer before you see a significant boost in dietary variety, but happier mealtimes and more balanced eating can be enjoyed from the get go! Everyone says my child will outgrow his pickiness so I should not be worried. But you are, otherwise you would not be reading this! So here are some facts – without correct feeding strategies and a clear plan, your child’s developmentally appropriate pickiness may grow into a feeding issue. And if your child is a very selective eater, i.e., accepting just a few foods and rejecting whole food groups, it is likely that things will get worse, not better, as he is growing up, unless you provide the support and structure he needs right now. I do not have the time to plan and prepare family meals. And my kids will refuse them anyway, so what’s the point? Do you have time to scramble through your cupboards 20 minutes before dinner with your toddler glued to your leg or run to a grocery store to pick up some missing ingredients? Then you definitely have time to spend a few minutes a week to create a doable meal plan with our easy and practical strategies. The best part: some meals we share with you do not require any cooking at all! And we promise that once you learn how to plan satisfying meals with your picky eaters in mind, you will hear significantly fewer complaints about the dinner menu and will be able to enjoy your favorite food more often. I do not have the time to study anything! We got it. We are busy moms with 5 kids between us, and we created this course with you in mind. You can participate at any time and do not have to be online at a certain hour. You have access to the program lifetime so you can start at any time. On average, it takes parents around 8 weeks to complete it if they spend up to half an hour a week watching the class materials. Shoot us an email at [email protected]. We cannot wait to meet you and your little one in our virtual classroom! I have found this course rich and rewarding. Natalia and Adina have pitched it perfectly – there is detail, there is focus, there is a wealth of practical tips, and there is warmth and humour too. Ready to Turn Picky Eating Around?